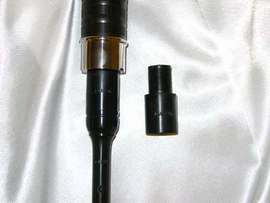 Allows you to plug your practice chanter into a regular bagpipe chanter stock. You would then cork off the 3 drones and use your bagpipe blowpipe to play the practice chanter. This allows beginners to get accustomed to working with a pipe bag.